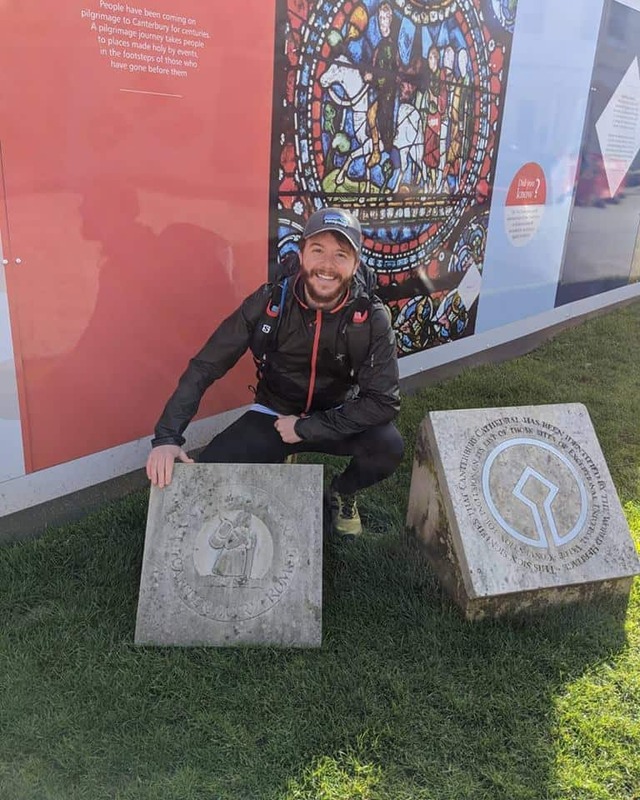 On May 1st, Ross Simpson left the Cathedral gates in Canterbury city centre and began a 1,800 mile run to Palermo Cathedral on the Italian island of Sicily, to raise much needed funds for Youth Cancer Trust. 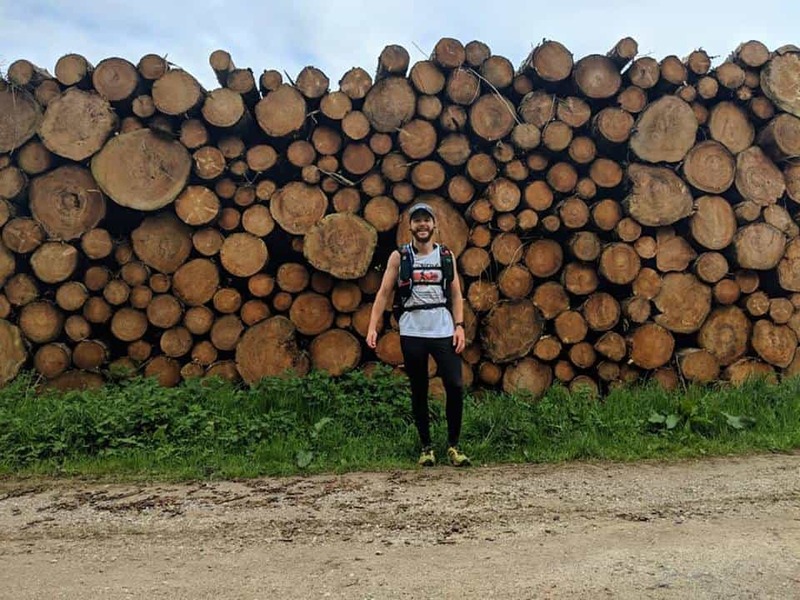 This is an incredible challenge, so please support Ross by donating via his Justgiving page. 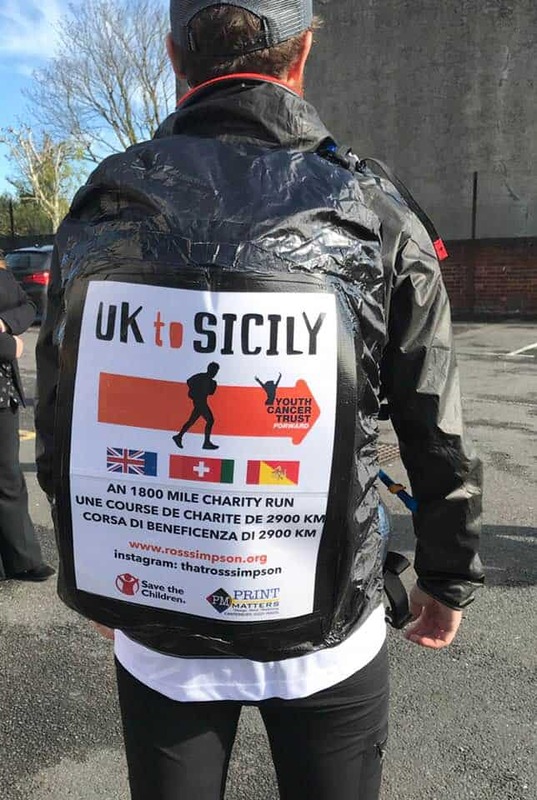 If you are interested in following Ross Simpson’s amazing challenge, running 1,800 miles to Sicily in 100 days raising funds for YCT, you can find out more on his website..
Uk to Sicily Day 1: Here goes nothing. 1800 mile run to Sicily, and such an awesome day for it. Thanks to everyone who came out to see me off, and to my amazing friend Josh for all his doctor, support and advice over the last 3 months, couldnt have got to this point without you! UK to Sicily Run Day 2: Managed to cover 2 marathons so far, but today’s took it out of me ALOT more. My body is going to take some adjusting to this running life. After leaving Calais I ran through the town of Guines and managed to stock up on some food. I ran along the canal for a large part of the morning and then cut inland on a country road. The running was easy but then my planned route took me off into the forest. I should have stayed on the road and gone direct, but the forest was really nice, if not a little hilly and wet. The dogs of france have not taken to me so far, I get barked at every corner they can’t let Brexit go, no matter what I say. Just a gate separates me from them on most occasions… But what about when there’s no gate. Keep an eye on french news for video footage of me being mauled by 20 shitzus. Navigating dodgy terrain and a 2km detour into a knee high bog really slowed me down today. My body is shattered, so I’m already in bed in my tiny tent, atop a small cliff in the woods. Listening to birds singing, leaves swaying and what sounds like a giant aroused bull mooing relentlessly in the distance…and of course a chorus of dogs barking. Not today you mutts, not today. UK to Sicily Run Day 3: Only just managed to make it 3 marathons in 3 days. I think it’s time to kick aside the running shoes tomorrow and don my 80’s style dad sandles; dual straps ☑️ velcro☑️ Aztec pattern that says ‘I take male birth control’ ☑️. My initial plan was 5 marathons a week, 1 half marathon walk and a rest day. Earlier today I thought ‘why not just run back to back marathons?’ and just as I thought that my knee started to click, my ankle swelled up and the blister on my toe tripled in size before sending off for its own national insurance number. The weather was incredible all day. I stopped in a beautiful town called Therouanne and stocked up on food. I learnt a little more french and managed to have a conversation with a lovely old bar owner who brought out a giant map and asked me where I planned to run. She kept looking at me incredulously like something was lost in translation and then I showed her the sign on my bag . Met more super friendly cows and they all queued up as I plucked up the good grass they couldn’t reach and fed it to them. Not seeing many people out and about, mainly cars. Now I’m camped on a roadside outside a town called Auchel. It’s not an ideal place to camp, but I like the fact it’s out in the open. The only other option was a little forest littered with beer cans and broken glass… I considered it for a while and then decided against it. Lots a little tent pole already  so I’ve had to improvise with a stick, surprisingly worked really well, so it’s coming with me to Italy.